"High explosives and school don't mix"
The family forms a pyramid, with Maggie on top. "Bart the Murderer" is the fourth episode of The Simpsons' third season. It originally aired on the Fox network in the United States on October 10, 1991. In the episode, Bart stumbles upon the Mafia bar, Legitimate Businessman's Social Club, after having a terrible day at school. The owner of the bar, mobster Fat Tony, hires Bart to work as its bartender. When Principal Skinner goes missing after punishing Bart in school, Bart is soon accused of having him murdered and is put on trial. As he is about to get convicted, Skinner arrives and explains that he was accidentally trapped in his garage all week, clearing Bart. The episode was written by John Swartzwelder and directed by Rich Moore. Fat Tony (voiced by Joe Mantegna) and his henchmen, Legs and Louie, made their first appearances on The Simpsons. The episode features cultural references to songs such as "Witchcraft" and "One Fine Day", and the American television series MacGyver. Since airing, the episode has received mostly positive reviews from television critics. It acquired a Nielsen rating of 13.4 and was the highest-rated show on the Fox network the week it aired. After having a particularly bad day at school, Bart gets caught in a downpour and loses control of his skateboard. He crashes down the stairwell of the Legitimate Businessman's Social Club, a Mafia bar owned by the Springfield Mafia. Fat Tony, the leader of the Mafia, and his henchmen Legs and Louie are initially inhospitable towards Bart, but they are impressed by his ability to pick the winning horse in a horse race on television. When Bart makes up an excellent Manhattan cocktail for the mobsters, Fat Tony hires him as their bartender and errand boy. As Bart adopts more and more gangster-like traits, Marge grows anxious and tells Homer to go and meet the Mafia, but Homer approves of them after they let him win at poker. When Fat Tony finds out the Principal Skinner is giving Bart detention after school, the mobsters go to confront Skinner. The next day, Skinner is missing and is presumed to have been murdered. Bart has a nightmare of Skinner's ghost and his own execution on the chair. He rushes to confront Fat Tony at the bar. When the police burst in, Fat Tony blames Skinner's disappearance on Bart, who is put on trial. During the trial, Fat Tony, Legs, and Louie lie to the court, saying that Bart is Skinner's murderer and the leader of the Springfield Mafia. Judge Snyder is about to convict Bart when Skinner bursts through the doors, disheveled and unshaven, and explains that neither Bart nor the mobsters assaulted him. Rather, when Fat Tony and his henchmen had come to his office meekly, Skinner had yelled at them to not interfere with student discipline, and they left sheepishly. After Skinner returned to his house, he became trapped beneath tons of old newspapers in his garage, and was stuck there for over a week, until he was able to escape. Bart is cleared of all charges, despite the counsel for the prosecution unsuccessfully trying to convince the Judge to strike Skinner's speech from the record. Fat Tony tells Bart that he did not want to get him into any trouble on his behalf, but Bart decides to resign after learning that "crime doesn't pay". Joe Mantegna guest starred in the episode as Fat Tony. The episode was written by John Swartzwelder and directed by Rich Moore. The writers conceived the idea of the episode before the 1990 film GoodFellas, which has a similar plot, was released. After it was, the writers incorporated references to the film into the episode. The character Fat Tony makes his first appearance on the show in this episode. He was modeled after the physical appearance of Paul Sorvino's character Paul Cicero in GoodFellas. The writers originally wanted American actor Sheldon Leonard to voice Fat Tony, but they were unable to get him, so they went with Joe Mantegna instead. Mantegna was offered the role during the show's second season, and since he had seen the show before and thought it was "funny", he decided to give it a shot. He felt honored that they asked him to do a voice for the show. In an interview with The A.V. Club, Mantegna said he thinks the reason he got the role was partly due to his performance in the 1990 Mafia film The Godfather Part III, which opened just prior to when he received the role. He thought the script was smart and clever and that he enjoyed recording it. Mantegna has since appeared many times on the show as Fat Tony, who became a recurring character; it is Mantegna's longest-running role in his acting career. Mantegna commented: "Who knew that Fat Tony was gonna resonate in the hearts and minds of the [Simpsons fans] out there? Apparently [the writers] got enough feedback as to how the character was liked that they wrote it in again and again, and I was kind of a recurring guy that they’d tap into at least a couple episodes a season." Legs and Louie, Fat Tony's henchmen, also made their first appearances in this episode. The character of Louie was based on American actor Joe Pesci, who is known for playing violent Mafia mobsters. Neil Patrick Harris guest starred in the episode as himself, portraying Bart in Blood on the Blackboard: The Bart Simpson Story, a horribly inaccurate made-for-television film based on Bart's life with the Mafia that the Simpson family watches at the end of the episode. The movie casts Joe Mantegna (looking like his character in The Godfather Part III) as Fat Tony. 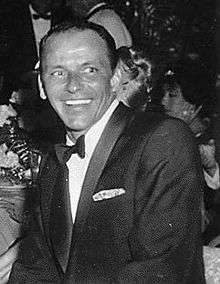 The song "Witchcraft" by Frank Sinatra is heard in the episode. The sequence of Bart crashing down the stairwell to the Mafia bar is similar to a scene in the film GoodFellas, in which a young boy is employed by a Mafia as their messenger. All of the horses in the race that Bart bets on are named after a famous animated character's catchphrase: "Ain't I a Stinker?" (Bugs Bunny), "Yabba Dabba Doo" (Fred Flintstone), "Sufferin' Succotash" (Sylvester), "That's All Folks" (Porky Pig), "I Yam What I Yam" (Popeye), and Bart's catchphrases "Eat my shorts" and "Don't have a cow". The Chiffons's song "One Fine Day" is heard when Bart serves drinks to the mobsters during a game of poker. The writers originally wanted to use the song "Be My Baby" by The Ronettes for the scene, but they could not clear the copyrights for it. In his room, Bart stores the Springfield Mafia's loot—a truckload of cartons of Laramie cigarettes. While strutting around the kitchen, he sings Frank Sinatra's song "Witchcraft". The scene in which Bart wakes up screaming after having a nightmare about Skinner is a reference to a scene in the 1972 film The Godfather, in which Jack Woltz screams after waking up in bed and finding a decapitated horse head by his side. Skinner frees himself from being trapped under the newspapers in a way similar to the character Angus MacGyver's escapes in the American television series MacGyver. In its original American broadcast, "Bart the Murderer" finished 31st in the ratings for the week of October 7–13, 1991, with a Nielsen rating of 13.4, equivalent to approximately 12.5 million viewing households. It was the highest-rated show on the Fox network that week. Since airing, the episode has received mostly positive reviews from television critics. John Orvted of Vanity Fair named it the eighth best episode of The Simpsons because of the "inspired" Mafia satire and because it "goes deeper into Bart's ongoing conflict with authority figures." Warren Martyn and Adrian Wood, the authors of the book I Can't Believe It's a Bigger and Better Updated Unofficial Simpsons Guide, praised the scene in which Skinner explains his disappearance to the courtroom, calling it Skinner's "finest hour" on the show. Nate Meyers of Digitally Obsessed named the episode the best in the third season, and commented that there are "many priceless moments" in it, such as Homer's meeting with the Springfield Mafia. Meyers also praised Swartzwelder's script. Bill Gibron of DVD Verdict commented that how an episode that starts with Bart having a bad day can lead to him being tried for murder as the head of the local Mafia "is just one of the amazing monuments to this show's superiority." DVD Movie Guide's Colin Jacobson thought "Bart the Murderer" was season three's first "truly great" episode because it "starts off strong and gets even better as it moves." Even though he thinks Mafia parodies have been overused, Jacobson thought this one brought "a fresh approach and remains consistently amusing. A great guest spot from Mantegna helps. It also feels like the first episode of this season that really moves the series ahead; it seems like something a little more incisive than most of what came before it." Andy Patrizio of IGN called "Bart the Murderer" his favorite of the season, and praised the episode for its references to The Godfather and MacGyver. The episode's reference to GoodFellas was named the 28th greatest film reference in the history of the show by Total Film's Nathan Ditum. 1 2 3 4 5 Jean, Al (2003). The Simpsons season 3 DVD commentary for the episode "Bart the Murderer" (DVD). 20th Century Fox. ↑ Bernardo, Mark (September 2004). "Not Your Average Joe". Smoke. Retrieved 2009-06-10. ↑ Jacobs, Jay S. (2004-02-10). "Joe Mantegna - One Of Us". PopEntertainment.com. Archived from the original on 17 November 2008. Retrieved 2008-12-10. ↑ Kelly, Liz (2007-05-25). "Catching Up with Joe Mantegna". The Washington Post. Retrieved 2008-12-10. ↑ Rabin, Nathan (April 21, 2009). 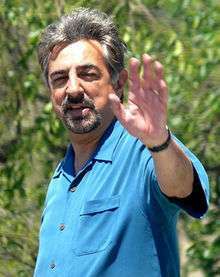 "Joe Mantegna". The A.V. Club. Archived from the original on 25 May 2009. Retrieved 2009-06-10. ↑ Moore, Rich (2003). The Simpsons season 3 DVD commentary for the episode "Bart the Murderer" (DVD). 20th Century Fox. 1 2 Martyn, Warren; Wood, Adrian. "Bart the Murderer". BBC. Retrieved 2009-06-08. 1 2 3 Groening, Matt (1997). Richmond, Ray; Coffman, Antonia, eds. The Simpsons: A Complete Guide to Our Favorite Family (1st ed.). New York: HarperPerennial. p. 65. ISBN 978-0-06-095252-5. LCCN 98141857. OCLC 37796735. OL 433519M. .
↑ Cartwright, Nancy (2003). The Simpsons season 3 DVD commentary for the episode "Bart the Murderer" (DVD). 20th Century Fox. ↑ Nawrocki, Tom (November 28, 2002). "Springfield, Rock City". Rolling Stone. Archived from the original on 20 December 2008. Retrieved 2008-12-07. ↑ Groening, Matt (2003). The Simpsons season 3 DVD commentary for the episode "Bart the Murderer" (DVD). 20th Century Fox. ↑ Wilson, Jeff (October 17, 1991). "Thomas Vs. Hill Earns Smash Ratings". South Florida Sun-Sentinel. p. 4E. ↑ Orvted, John (July 5, 2007). "Springfield's Best". Vanity Fair. Archived from the original on 30 May 2009. Retrieved 2009-06-13. ↑ Meyers, Nate (June 23, 2004). "The Simpsons: The Complete Third Season". Digitally Obsessed. Retrieved 2009-06-06. ↑ Gibron, Bill (December 15, 2003). "The Simpsons: The Complete Third Season". DVD Verdict. Archived from the original on 29 June 2009. Retrieved 2009-06-06. ↑ Jacobson, Colin (August 21, 2003). "The Simpsons: The Complete Third Season (1991)". DVD Movie Guide. Archived from the original on 29 June 2009. Retrieved 2009-06-06. ↑ Patrizio, Andy (August 29, 2003). "The Simpsons : The Complete Third Season". IGN. Retrieved 2009-06-14. ↑ Ditum, Nathan (June 6, 2009). "The 50 Greatest Simpsons Movie References". Total Film. Archived from the original on 22 June 2009. Retrieved 2009-07-22. "Bart the Murderer episode capsule". The Simpsons Archive.